First off, we will start with the lens my bag started with - my trusted Nikon 50mm 1.4G. This lens ha been on of my staples; the wide aperture allows me to shoot wide open, which I have found tends to fit more my style. I use mostly for my portraits, because of how well it handles. Tips and Tricks: With the 1.4 I can use this in darker areas without any problem! My second "must have" is the Sigma 24-70mm 2.8. i purchased this lens from Sigma because of the dramatic price difference compared to the Nikon. This lens is my workhorse!!! for a wedding day; It does so much I would buy it a ribbon of excellence if it wouldn't get in the way of my shooting when I put it on the lens. It is so versatile compared to any of the other lenses I possess. This is the second lens I purchased for my full frame; now I cannot imagine shooting a wedding day without it. Tips and Tricks: This lens does a beautiful and playful sun flare that I really love! With this lens, events are less daunting. It is awesome for getting candid moments while being inconspicuous or right in their face. The 2.8f/stop is perfect for lower light situations, which any photographer knows is a must. Tips and Tricks: Never bring your shutter speed lower than your focal length. It has a larger tendency of not being sharp. Also make sure you get a good arm strength for this lens because it is heavy! This baby is the newest member of the MW family. 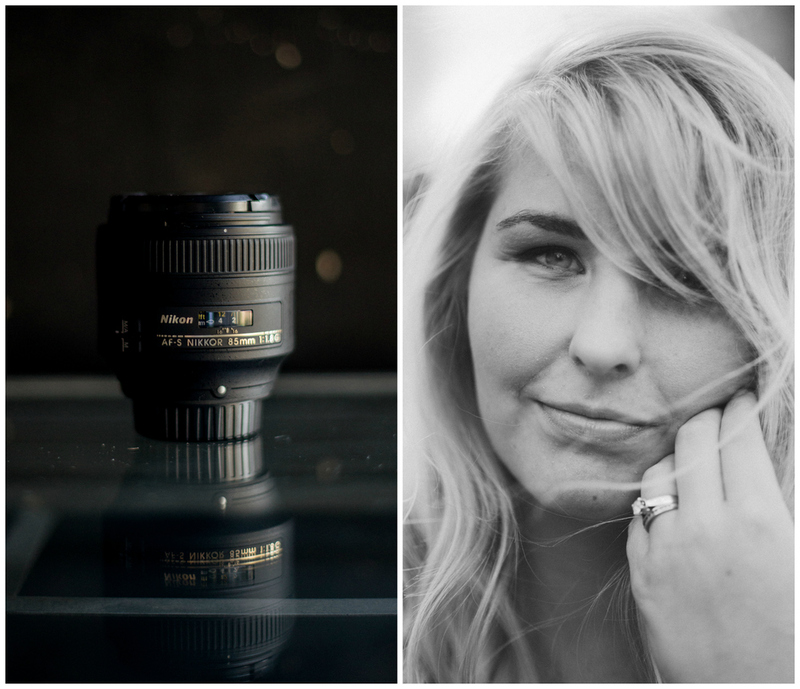 A GREAT portrait lens, it fits really well to my personal style. the body of the lens was a little bigger than I anticipated, but it is not as heavy a the Nikon 85 1.4. Tips and Tricks: Be careful of shooting in bright sun while shooting wide open. This lens has a tendency to have chromatic aberration in those conditions. I also tried the 85 1.8D, I have found the 1.8G is sharper. This lens I actually inherited from my father; he too used it from his old wedding photographer days. This lens is the little one that helps me capture little details! Tips and Tricks: I always manually focus for my ring shots. This helps that I can be 100% certain that those diamonds are in breathtaking focus. Flashes help when natural light is not available, which as ever wedding photographer knows happens a lot on a wedding day. You want something reliable; I have put my trust of brightening up dark situations in my YONGNUO YN560 IV and Nikon S600. Tips and Tricks: Practice with your flashes before using them at your venue!! I played with my settings enough that I know what my equipment will do before it does it. Last & smallest in my bag is my flash triggers by Yongnuo. They have yet to fail me and are amazing! I use these for anything to do with my flashes. mostly for reception shots! Tips and Tricks: Always make sure that you have backup batteries to your backup batteries! Better to be over prepared than not prepared at all! I am so grateful for all that I have been able to gather for my little army. And I am proud that I am able to hold my hard work in my hands. It is a feeling I always relish. What's in your bag that you love? !